5 Beds 3 Baths 3,234 Sq. ft. 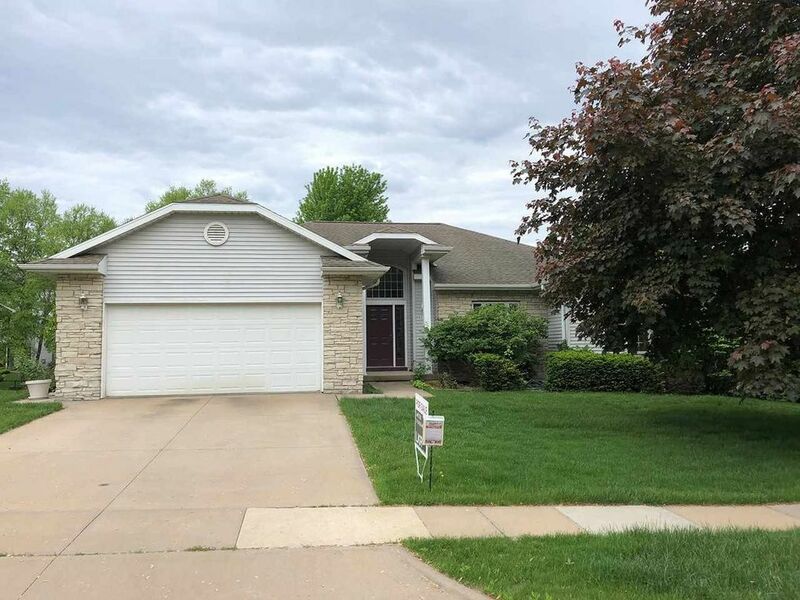 Bright and spacious ranch located in Park West Subdivision on a cul de sac near Willow Creek Park, Finkbine Golf Course, and the UI Hospital! Special features include a foyer entry with 12 ft. ceilings; living room with a cozy fireplace and 10 ft. ceilings; formal dining room; warm maple wood flooring through much of the main level; white painted trim and raised panel doors; functional kitchen with granite countertops, island and built-in desk, white cabinetry, tile flooring and large dinette; sunny 4 seasons room; 1st floor laundry room with utility sink; 5 bedrooms including a master suite that boasts a tub with separate shower and 9 ft. deep walk-in closet; walkout lower level family room; and a tremendous storage room! Some recent improvements include a maintenance free grilling deck and stairs to ground level, sun room, air conditioner, granite counters, and maple hardwood flooring! Directions: Benton St. to Teg Dr. to Flanigan Ct.